The Denver Nuggets announced the list of participants for their second pre-draft workout, to be held Tuesday, May 23, and there are two more Colorado Buffaloes on the list. The Nuggets hosted CU senior-to-be George King, among other players, for a workout Monday. These two players, however, won’t be asked about their future with the Buffs. 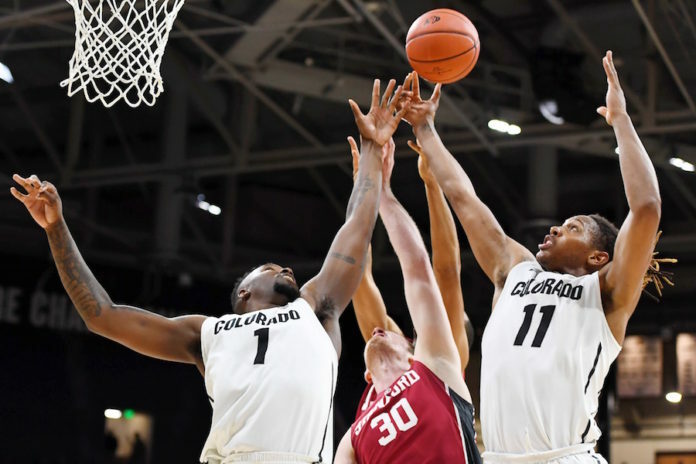 Wesley Gordon and Xavier Johnson, who just completed their senior seasons in Boulder, will be among six players at Pepsi Center on Tuesday as part of the workout. 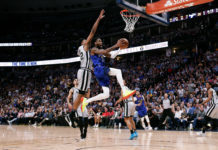 Gordon has additional ties to the Centennial State, as a former All-Colorado and All-State player for Sierra High School. Garcia also has Colorado ties, as the all-time points and assists leader at Grandview High School in Aurora. While at CU, Gordon finished his career with 204 blocks, ranking eighth in Pac-12 history. On Colorado’s career leaderboard he ranked third in starts (122), fifth in games played (131), sixth in rebounds (882) and 10th in minutes (3,405). Johnson, meanwhile, finished his career in 11th place on CU’s all-time scoring list with 1,463 points while also ranking seventh in 3-point field goals (130) and games played (127), and 11th in starts (97), rebounds (705) and minutes (3,387). 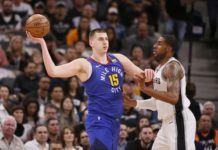 He averaged 11.5 points and 5.6 rebounds while shooting 48 percent from the field and 38 percent from the 3-point line over his four-year career. 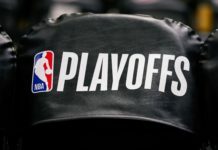 The Nuggets have their own first round pick (#13) and a pair second round picks from Memphis (via OKC) (#49) and Oklahoma City (#51) in the 2017 NBA Draft, which will be held June 22 at Barclay’s Center in Brooklyn, N.Y.